Hello ... Hello ... my old friends ... It's great to see you once again! In an interview broadcast on BBC Midlands Today yesterday [Wednesday 3rd December] in advance of his forthcoming Christmas Show at The Symphony Hall, Birmingham on Tuesday 9th December, Roy Wood not only revealed his artistic talents and the story of the Summer 1973 recording of "I Wish It Could Be Christmas Everyday", he also unveiled the surprise news that he is working on a new album - entitled "Roy Wood's American Jukebox" - which is (hopefully) set for release in 2015. 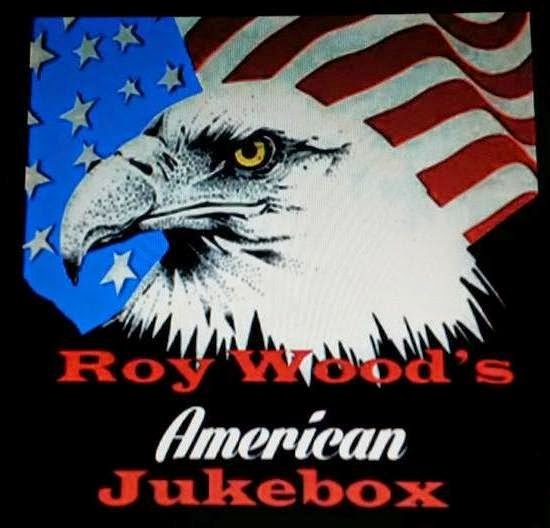 Yours Truly KJS very much looks forward to hearing and reviewing "Roy Wood's American Jukebox" next year ... and maybe even a non-festive Roy Wood show or three!